Gilda Radner is a comedic legend whose life was cut short by cancer. As Saturday Night Live characters Roseanne Roseannadana, Baba Wawa or Emily Litella, Radner always found a way to make people smile. The original cast member of SNL passed away in 1989 from ovarian cancer, but her legacy lives on through Gilda’s Club, a non-profit cancer support network that was started by her friends and family. Recently, some of the Gilda’s Club branches announced they would be changing their name to Cancer Support Community, including the Madison, Wisc., Gilda’s Club affiliate. The executive director of the Madison affiliate explained that her organization decided to change its name to Cancer Support Community Southwest Wisconsin after it realized that most college students were born after Radner died in 1989. This decision ignited backlash from a number of Radner supporters. The Madison chapter’s Facebook page has been bombarded with comments filled with anger and bewilderment. Other chapters, specifically the Nashville chapter, announced on its Facebook page on Nov. 29 that the local branch would not change the name. The page received numerous positive comments applauding the chapter’s decision. Sandy Towers, the affiliate’s founder, explained why it’s important to hold on to the name, Gilda’s Club. Towers and her local organization stress that Radner’s life represents a wonderful story of how she dealt with the cancer. The spirit of who she was is so important and valuable to the organization. There is something to staying true to a brand and celebrating its legacy. No matter if it’s Susan G. Komen, The Mayo Clinic or Gilda’s Club, there is value to a brand’s name. Other companies have received negative feedback when trying to change their image. Coca-Cola attempted to change its recipe and name to “New Coke”, but was faced with epic consumer fallout so it reverted to the original recipe and name three days after the change. In 2010, GAP introduced its redesigned logo on its website, only to receive nothing but criticism and complaints from the retailer’s customers. The retailer turned it into a positive by engaging fans, asking for suggestions and, ultimately, returning to the old logo. Could the Madison chapter’s decision lead to a new generation discovering the comedic genius of Gilda Radner, in addition to newly found brand awareness of Gilda’s Club? Can they make good out of a bad situation? For your enjoyment, here is a glimpse of Gilda Radner’s life and one of her infamous skits. 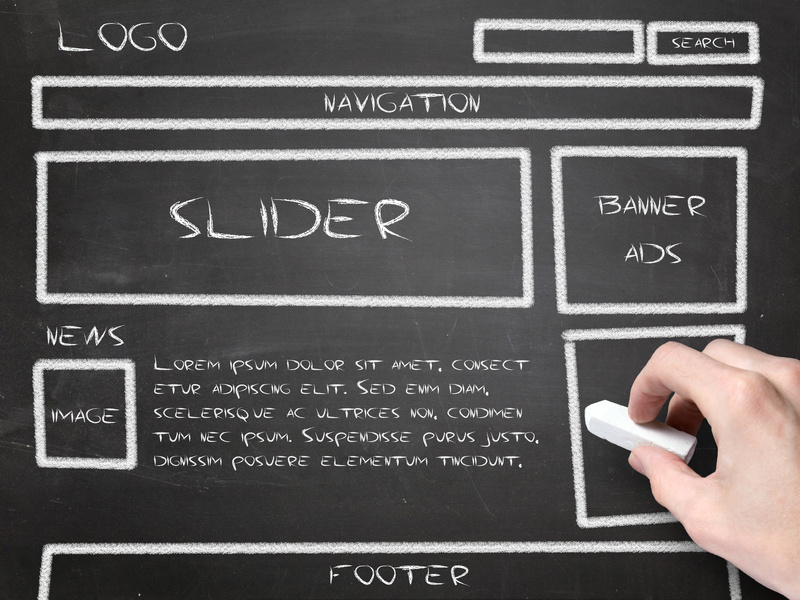 Does Web design matter? As a designer with a four-year, fine-art degree, that question pains me to type it out. But even more painful than the question, is my response – not always. Now had I said, “Does web design matter to me?,” the answer would have been a resounding, “Yes!” But, for the purpose of this blog post, I’m approaching it from the perspective of the average web user. I’m also referring primarily to ‘business-to-consumer’ websites where the main goal is communicate about or sell a product or service. Salesperson: “Well…you said it’s a great looking car, right? At this point, it’s likely you would reconsider your choice to purchase a car from that particular dealership and take your business elsewhere. While this may be an extreme and highly improbable situation, the analogy makes sense. No matter what the car looks like, the most fundamental purpose of said car is transportation. The same can be assumed for a large portion of websites – no matter what the website looks like, the most fundamental purpose is communication. A website may be the most beautiful, well-designed masterpiece that ever came across your screen, but if it doesn’t communicate the intended message or drive the user to act, it’s not accomplishing its primary function. Now don’t get me wrong – I love websites that are beautifully designed! But web design is not art, and it has never pretended to be. Those of us in the web design business must determine how to present the intended information in the most usable (and beautiful) way possible. When it boils down to it, I believe most people don’t really care what a website looks like as long as it has relevant information. One shining example is Craigslist. Strictly from a design perspective, Craigslist is one of the most unattractive, unimaginative and ‘ho-hum’ sites on the Internet. But according to their FAQ page, it currently receives 30 billion global page views every month. According to Alexa Internet Statistics, Craigslist currently ranks as the eighth most-visited site in the United States. To give some context, numbers one though seven are: Google, Facebook, YouTube, Yahoo!, Amazon, Wikipedia and eBay. That’s pretty good company for a site created by a small team of developers that draws its main source of revenue from fees charged for job postings. The real challenge for any website is successfully finding the balance between attractive design and clearly-presented, usable content. I believe that a great website has straightforward content for the average user, while at the same time, shows time and effort was spent by the designer to present that information in the most aesthetically-pleasing way possible. Pixel-perfect graphics, grid-based layouts and animation are just a few of a web designer’s tools to create a great site, but they are still just assets to support the content. They should never get in the way of the main function of the site, which is communication. Here at DVL, we strive to partner with our clients so their message becomes our message. In doing so, we can use our knowledge and tools to communicate that message as efficiently and successfully as possible. And having a nicely designed website doesn’t hurt. And that’s where Willie Nelson comes in. Willie, known for his commitment to social causes, is also known for his willingness to tackle pretty much any musical challenge (let’s face it, who does a duet with Bob Dylan or records an album of 1930s standards?). So, when Chipotle Mexican Grill launched a campaign to promote their commitment to sustainable farming, they turned to Willie who covered Coldplay’s “The Scientist” as the soundtrack for their “Back to the Start” short film. Willie Nelson sings Coldplay? The film ran as a commercial during the recent Grammy Awards and Twitter was abuzz that night with fans tweeting that Willie did Coldplay better than Coldplay. Earned media impressions about the Chipotle and Willie pairing have to be in the tens of millions (and all with Chipotle’s key messages about sustainable farming). And the film has enjoyed more than 6.1 million views on YouTube. The song has been so popular that it’s included on Willie’s highly acclaimed forthcoming album, “Heroes,” out in May that will surely include additional media coverage of the song and cause. Perfect song. Perfect singer. They zigged instead of zagged. Have you heard? The best-selling cookie of all time is celebrating its 100th birthday. Of course, I realized this fact after buying my weekly batch of Oreo’s at my neighborhood Kroger. The package features the celebratory phrase “Happy Birthday” across the front side. 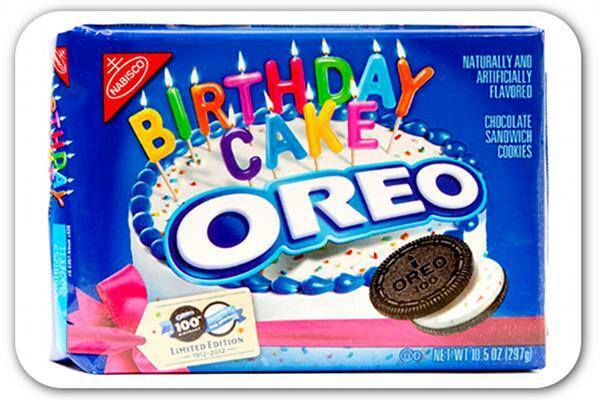 According to PR Daily, Kraft’s social media team started thinking about Oreo’s centennial birthday following its 95th year. Using Facebook and Twitter, Kraft initiated a campaign asking adults to get involved in reliving their childhood. As you can imagine, it wasn’t hard for fans to post their own technique of consuming an Oreo. On the brand’s anniversary, March 6, Oreo posted a video asking fans to send in personal videos, pictures, and stories capturing childlike moments, with the goal of collecting 1 million by the end of the year. You can visit the online gallery of special moments. In only a month, the number of collected moments has topped 390,000. Oreo has even more “social” activities up its sleeves. Read more about it at PR Daily. It’s the most wonderful time of the year. If you’re a college basketball fan, you know exactly what I’m talking about – March Madness. And with some of the best games happening during business hours, how will you stay updated? If it’s by streaming the games online, you may end up in hot water with your stressed out IT co-worker. A survey conducted by Modis, a global provider of information technology staffing services and the second largest in North America, recently reported 42 percent (of 500 IT specialist surveyed) say March Madness historically has impacted their network. Of those affected, 37 percent report their networks have slowed down, while 34 percent report March Madness activity has essentially shut down their networks for a period of time. If you don’t want to be responsible for crashing the server (and making enemies at work), social media can help you. You know your old college friends will be posting status updates on Facebook. 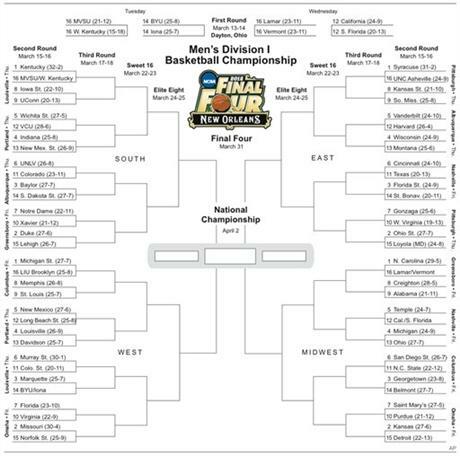 You may be able to get away with checking your phone for bracket updates and visiting Twitter during that afternoon meeting (follow your favorite team, @marchmadness, @ESPN and @CBSSports, to name a few). And those buzzer-beating highlights will be posted to YouTube before you know it. Finally, even more mobile devices will have access to the live games this year (might not want to tell your boss that one). Employers may worry about a lack of focus and productivity from workers during this annual distraction. However, according to a study by outplacement firm Challenger, Gray and Christmas, they should embrace March Madness “as a way to build morale and camaraderie.” As long as deadlines are met and customers are happy, March Madness can be a positive distraction that helps enhance internal communication. So, don’t get down if you’re stuck in the office. From tip-off to the “One Shining Moment,” you can track the madness wherever you are. How do you use Facebook, the most popular social media site? Are you simply sharing links to cat videos on YouTube or posting pictures of your friends, kids and self? Or are you part of a growing audience that treats Facebook as a personal focus group? Many of my “friends” now use Facebook as a resource for finding skilled professionals, new restaurants or physicians who are reliable and provide great outcomes. I’ve watched this happen frequently. Recently, a friend was seeking a good GYN, so she turned to her friends who she trusted. Her Facebook friends, that is. Dozens of responses, both negative and positive, were posted within minutes. In the old days, we might have asked our neighbor or someone in the office for advice. But today, we have the power of social media and easy access to friends around the world. And there’s nothing more social than helping a friend solve a problem. I decided to give it a try. When my roof leaked, I turned to Facebook. After previously finding, AND hiring, every horrible, over-priced, unreliable contractor in the area, I was determined to find someone who was honest, qualified and reasonably priced. Guess what, it worked! Minutes after I typed in my request to my Facebook status, numerous friends posted on my wall and even called me to talk about the awesome – and not-so-awesome – roof repair professionals. A Facebook friend, who I never would’ve thought of calling, recommended a company she hired after weeks of researching and interviewing several firms. The one she chose restored her belief in talented, honest and reliable craftsmen. I hear talk about how social media is making us “less social” – but in some ways, I think it’s connecting us with more people and on more levels than we ever imagined. We all have our own ways of using Facebook. Seeking opinions of others through social media could open doors you didn’t realize were there to open. Maybe the next time you’re looking for a yoga instructor, dog sitter or a new contractor, you should ask Facebook. On the flip side, if you’re a business owner, keep your eyes peeled to friends’ updates in your online networks. Your next customer could very well be behind the latest social media post.